After a brutal winter my kids are just waiting to have summer treats. You should see the excitement in their faces when we take them to our neighborhood ice cream shop. I wanted to create the same experience at home so I came up with this awesome idea. Buy really good quality ice cream . 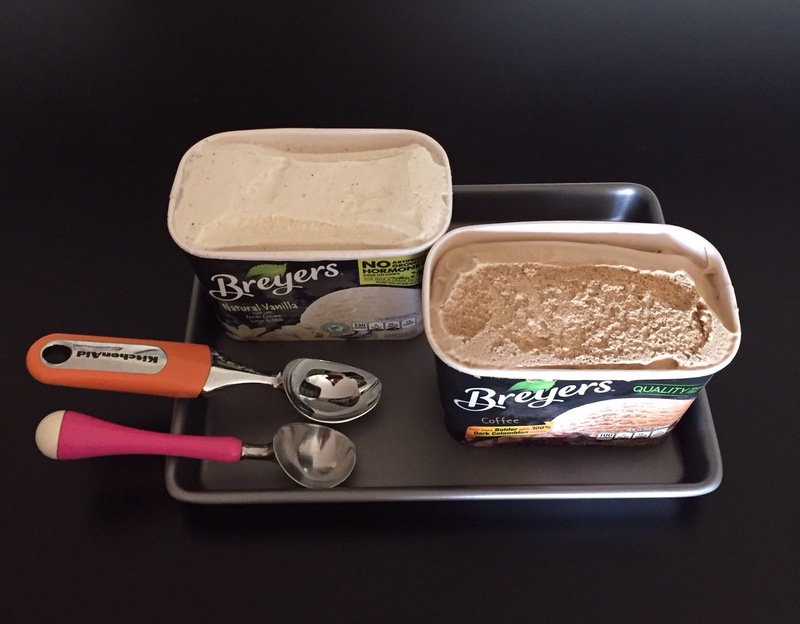 I personally like Breyers since they make ice cream without egg yolks. It is so creamy and delicious . Since we are going to add so many toppings I kept the ice cream in simple flavors. I have used vanilla for the kids and coffee for the grown ups . 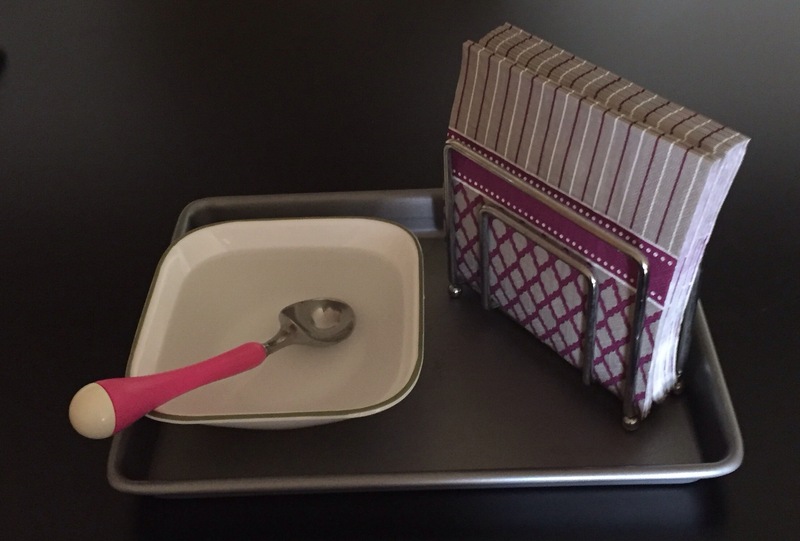 Fill the tray with lots of ice so the ice cream doesn’t melt. 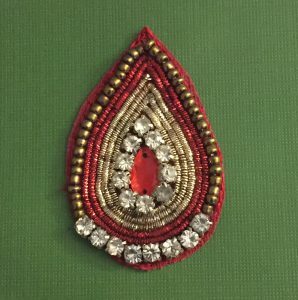 These tiny kisses version of the candies are very pretty and handy . If you don’t get them, no worries! 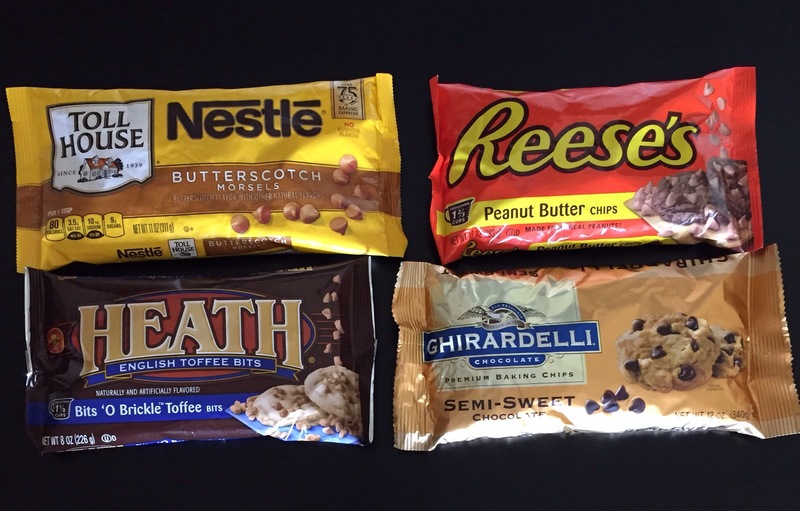 just buy your favorite candy bar and chop them into small pieces .This has a rustic look and serves the same purpose . 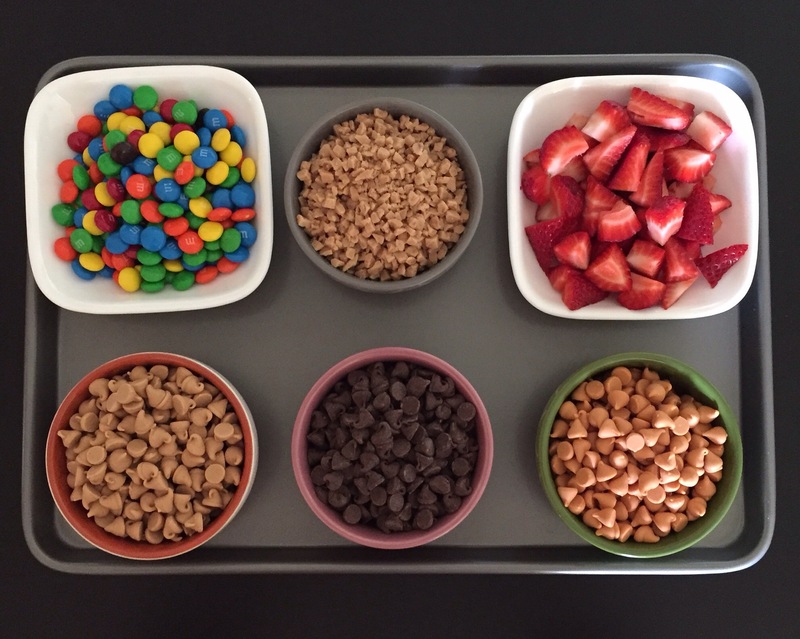 No ice cream bar is complete without m&ms and fresh strawberries. 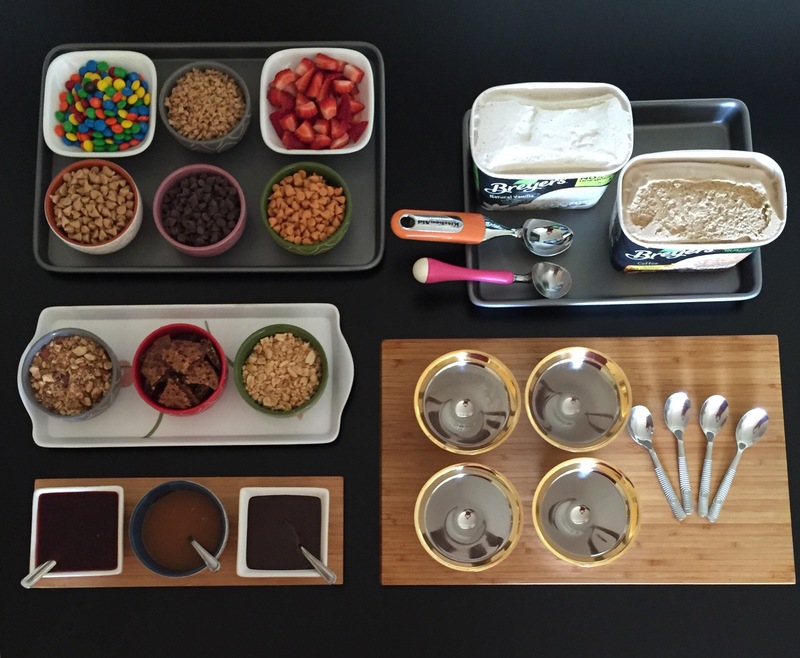 I picked the toppings that compliment the ice cream very well .You can use sprinkles, Oreos,short bread cookies etc ….Use whatever suits your taste. when it comes to flavor and toppings … sky is the limit. Who wouldn’t like a drizzle of tart raspberry sauce , sweet caramel or velvety chocolate on their ice cream . 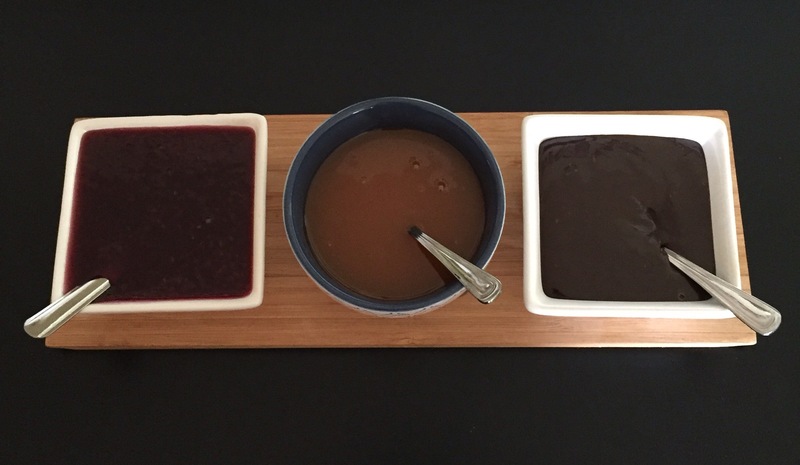 I made these sauces at home . Here is the recipe …. Raspberry sauce : In a sauce pan add a cup of fresh or frozen raspberries , 1/4 cup of sugar, a teaspoon of corn starch and a squeeze of lemon juice and a 1/4 cup of water .Mix it well and let it simmer for sometime until it comes to a syrupy consistency.Let it cool and serve it. Or you can use your favorite jam add little bit of water and let it simmer for sometime. This makes a quick sauce in minutes ..
Caramel sauce: Keep a non stick sauce pan on medium heat pour a can of sweetened condensed milk keep mixing it with a wooden spoon until it gets a golden caramel color add a little bit of heavy cream and vanilla extract to get a smooth caramel and let it cool before you serve it. Chocolate sauce:Take a cup of chocolate , 1/4 of a cup of cream or evaporated milk , teaspoon of unsalted butter and slowly melt it in a low flame once it’s melted immediately transfer it to a bowl and mix it well with a spatula and let it cool . This gives a beautiful sheen and a velvety consistency to the sauce. If you want to save time go ahead and use ready made sauces to make this process simple and easy. Now you need some crunch. Nothing beats the roasted salted nuts. 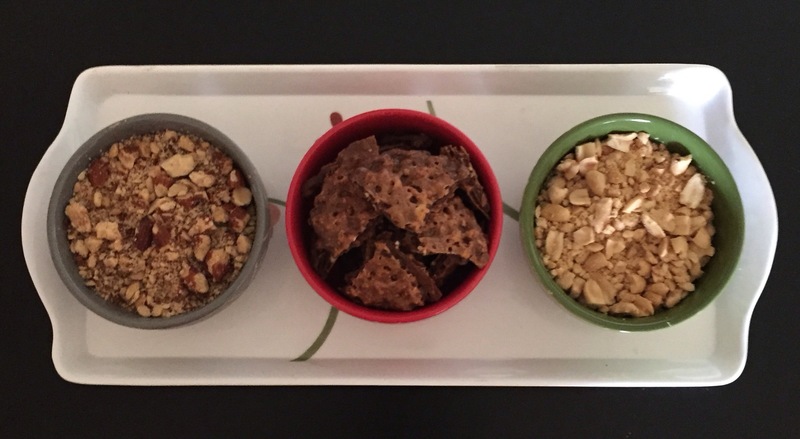 I have used chopped almonds and peanuts and some broken toffee wafers . 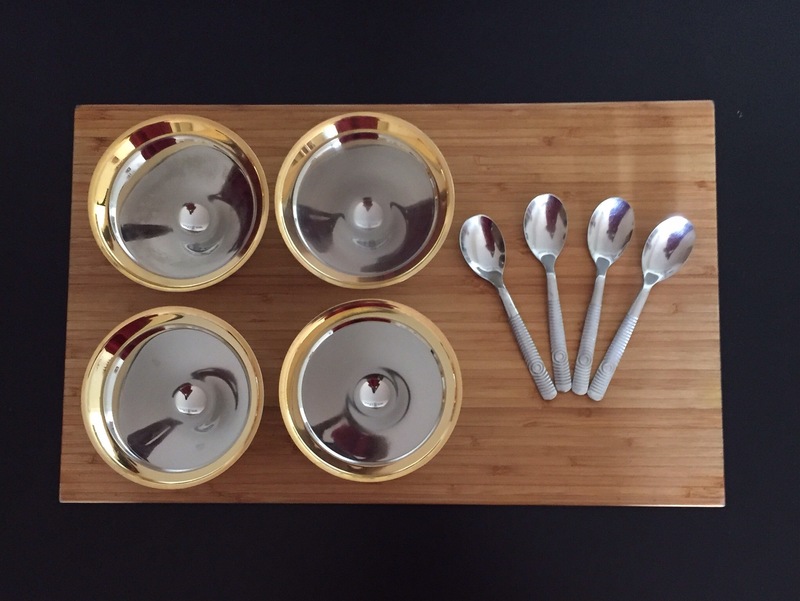 Now get ready to indulge …..
1.Always make sure you keep a bowl of hot water to dip the scoop this helps to get a beautiful rounded scoop of ice cream everytime. 3.And of course lots of tissues …. I have never heard anybody say no to ice cream .As my husband says “there is always room for ice cream ” even after a heavy meal . Something about it just lifts up your spirit and makes you happy no matter how bad you feel . This was a big hit at my daughter’s birthday party since it was set up in a way which satisfied both the kids and the adults . Hope I have inspired you all to try this at home. Please do leave a comment and let me know your favorite combinations.